If you have any questions about the Galactica Star information page below please contact us. The beautiful 65m Heesen superyacht Galactica Star (Project Omnia YN 16465) is a Fast Displacement (FDHF) superyacht concept vessel, with aluminium hull and superstructure designed by Van Oossanen and Heesen Yachts Naval Architects. 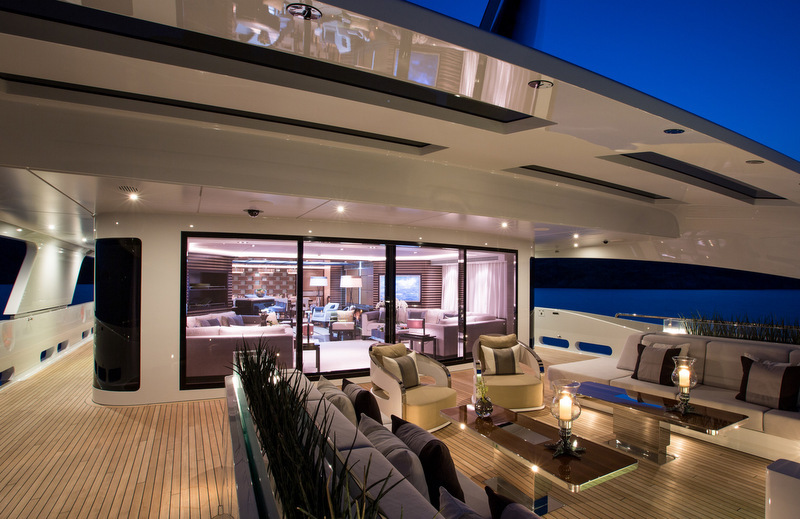 Luxury yacht Galactica Star's exterior is designed by Omega Architects. 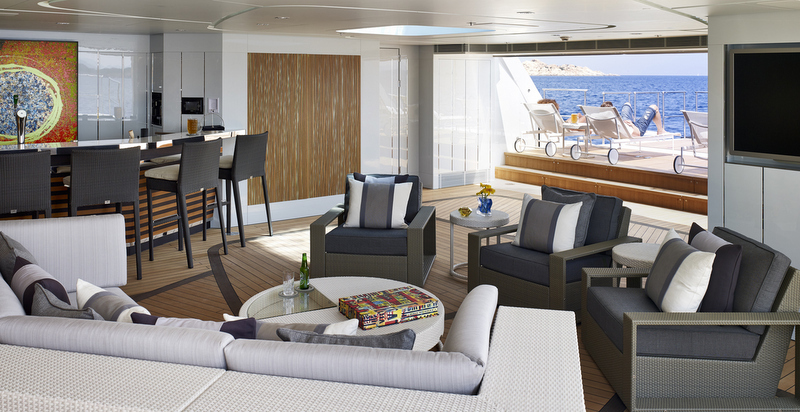 She is able to accommodate up to 12 guests in 6 elegant cabins and has a crew of 13. 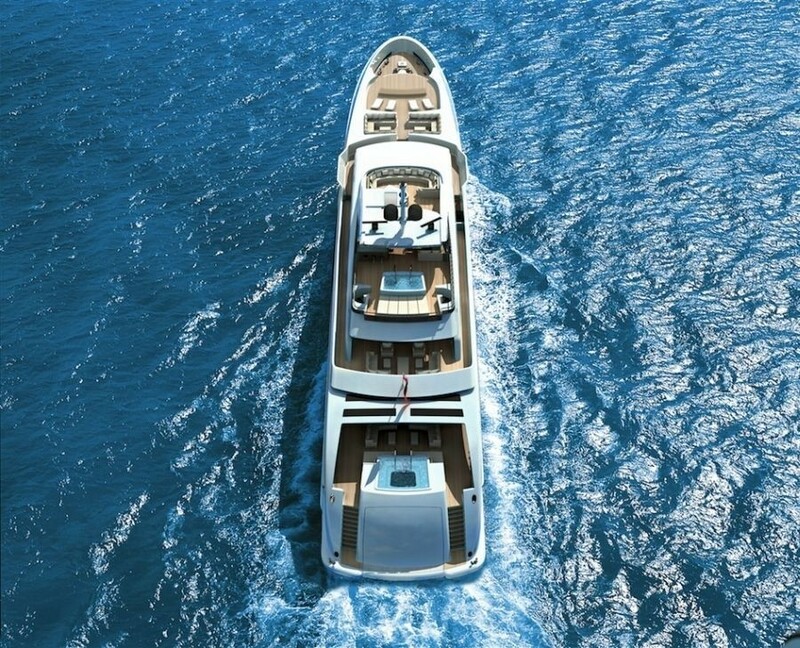 Galactica Star Yacht offers some significant luxury features, such as a duplex beach club located aft on the main and lower decks with a 10 square metre side balcony on the port side and 22 square metre swimming pool platform. 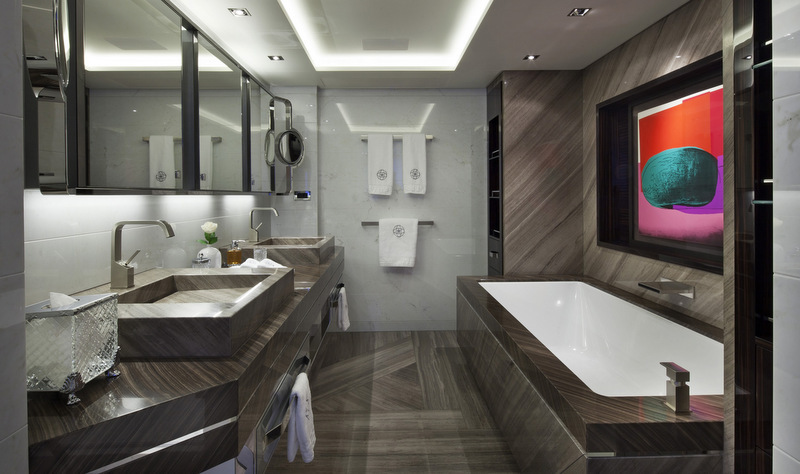 On the lower deck of this stunning Heesen motor yacht Galactica Star one can find a sauna, hammam, shower room, day head and a fully equipped bar. Another interesting feature of mega yacht Galactica Star is the glass bottom of swimming-pool located on the main deck. This feature allows the natural light to glimmer through through the water to the bar area beneath. 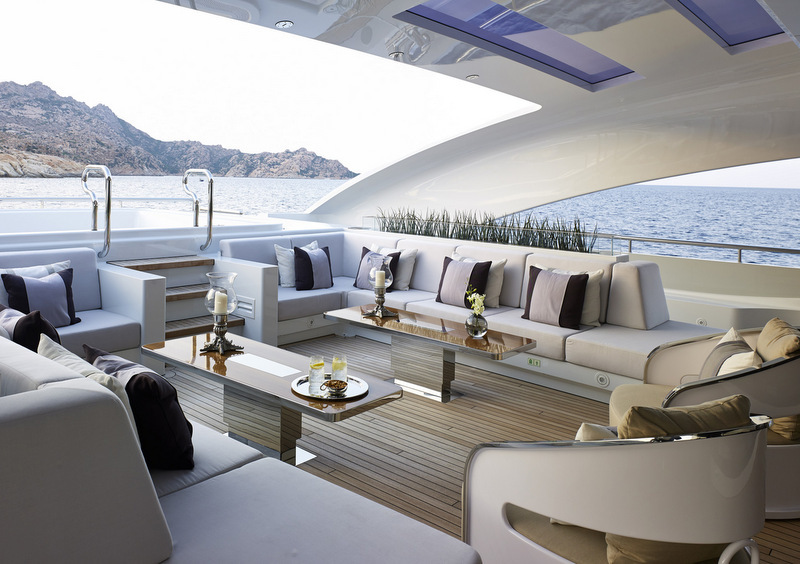 On the fore deck of the 65m Heesen motor yacht Galactica Star, there is a large sunbathing area, which can be transformed into a touch-and-go heli-deck. 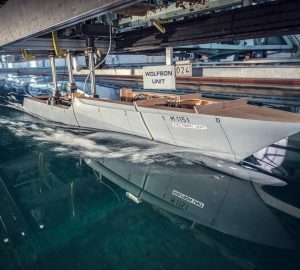 The tender garages with gull-wing doors are also located beneath the foredeck. 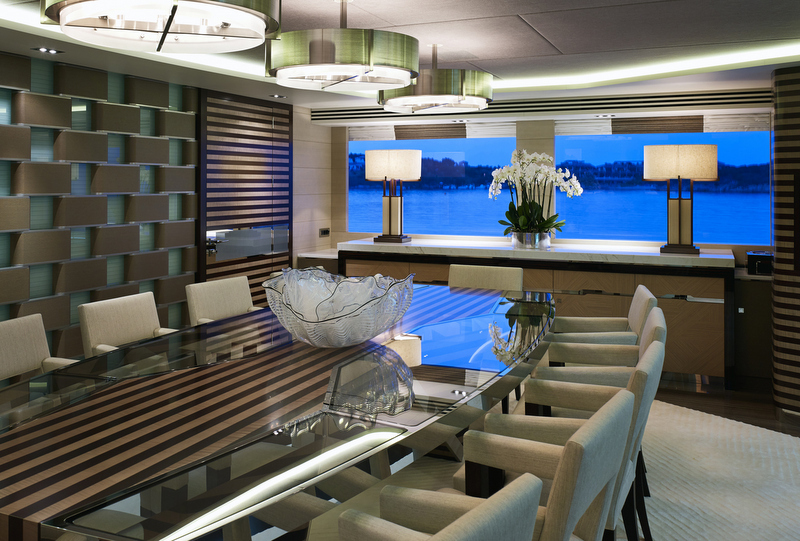 The exterior lines of this revolutionary Heesen YN 16465 have been drawn by Frank Laupman from Omega Architects. 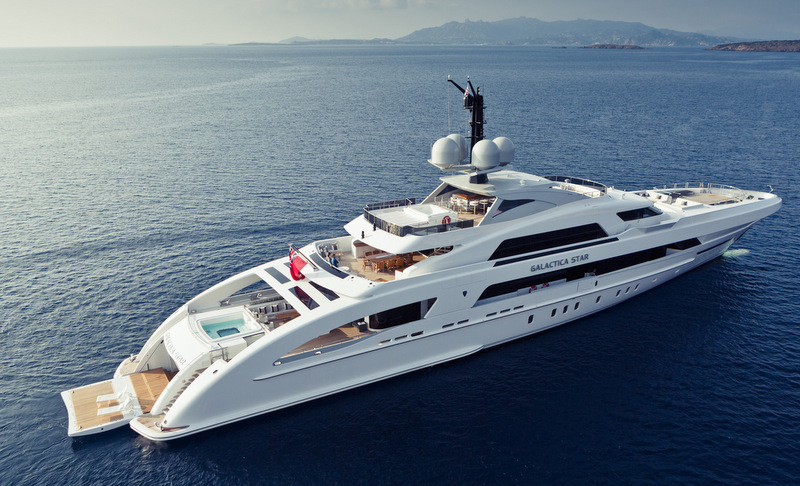 The design clearly shows the Heesen bloodline, while invigorating it with the muscular appearance of a racing car. 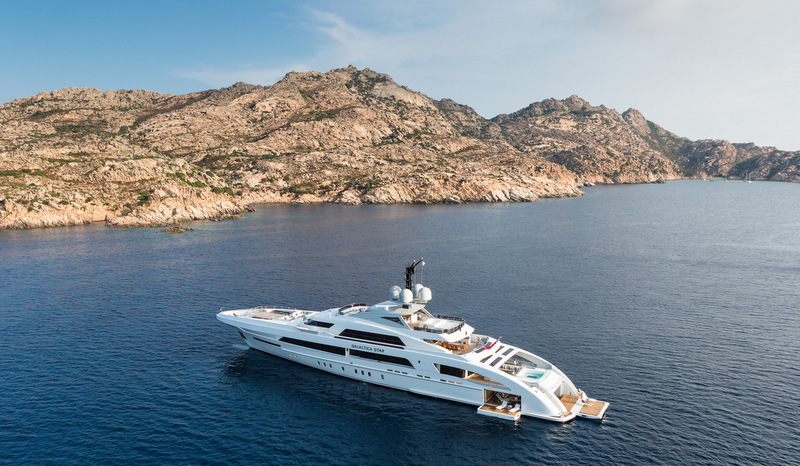 The Heesen 65m (Project Omnia) Yacht Galactica Star is powered by 2 x MTU 20V4000M93L engines to a maximum speed of 27 knots. 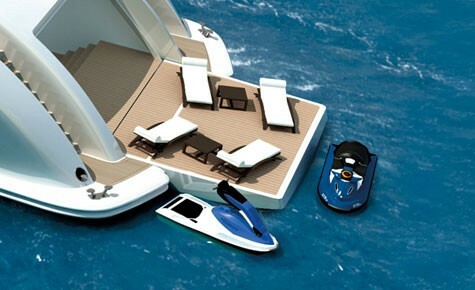 The vessel can comfortably cruise at 24 knots at approx 75% engine power output. Her range at 14 knots is of 4,500 nautical miles. 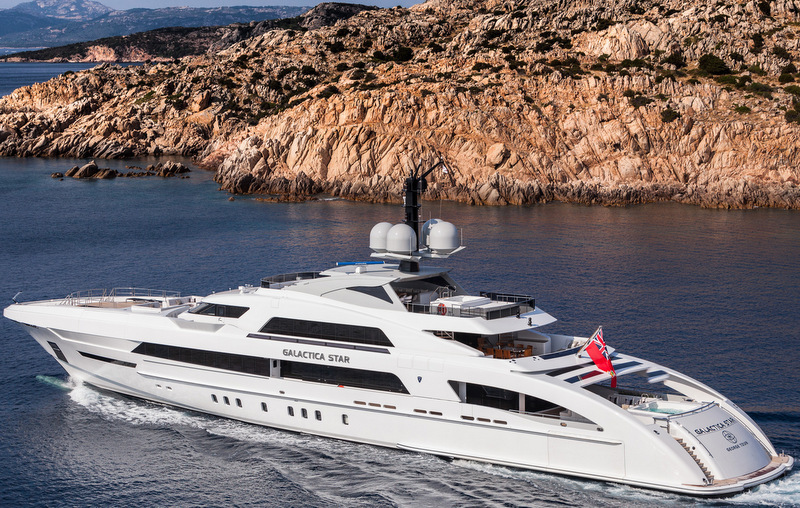 Heesen superyacht Galactica Plus can sleep up to 12 guests in 6 beautiful cabins. She is managed by a highly trained crew of 13. We do have available further amenity, owner and price information for the 65 m yacht Galactica Star, so please enquire for more information. 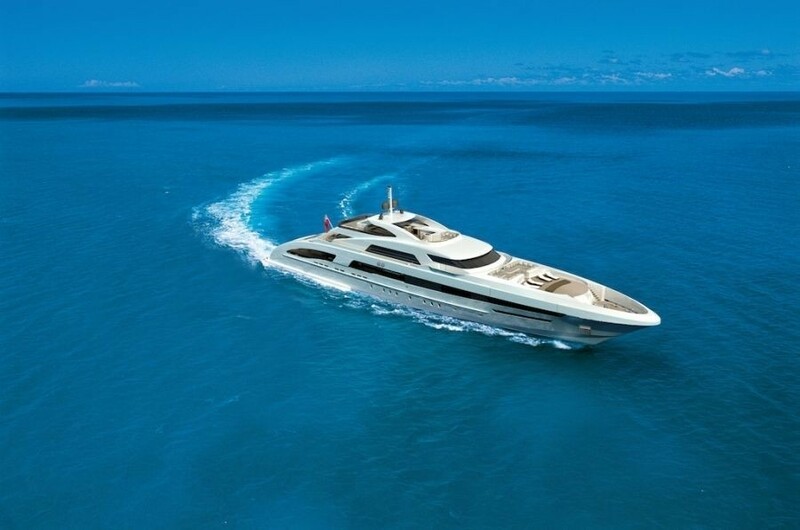 The luxury yacht Galactica Star displayed on this page is merely informational and she is not necessarily available for yacht charter or for sale, nor is she represented or marketed in anyway by CharterWorld. This web page and the superyacht information contained herein is not contractual. All yacht specifications and informations are displayed in good faith but CharterWorld does not warrant or assume any legal liability or responsibility for the current accuracy, completeness, validity, or usefulness of any superyacht information and/or images displayed. All boat information is subject to change without prior notice and may not be current.